SIKESTON -- Jimmy Eugene Payne, 84, died March 4, 2014, in Hickman County, Ky. For the complete Standard Democrat obituary log in to our electronic edition. CHARLESTON -- Victor Louis Pazdera, 74, died March 5, 2014, at his home. For the complete Standard Democrat obituary log in to our electronic edition. ROCKVIEW -- Rocky Carroll, 54, died March 4, 2014. For the complete Standard Democrat obituary log in to our electronic edition. GLEN ALLEN -- Louise Margaret Cox, 88, died March 4, 2014, at her home. For the complete Standard Democrat obituary log in to our electronic edition. CHARLESTON - Bob F. Williams, 83, died March 2, 2014, at the Charleston Manor. For the complete Standard Democrat obituary log in to our electronic edition. 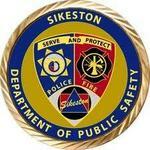 SIKESTON -- Gaylen Kruger Sr. died March 6, 2014, at his home. For the complete Standard Democrat obituary log in to our electronic edition. PARMA -- Terry Lynn Wilcox, 50, died March 1, 2014, at Parma. For the complete Standard Democrat obituary log in to our electronic edition. WYATT - Opal Hess Williams, 92, a resident of Wyatt, died Tuesday, March 4, 2014, at the Charleston Manor. For the complete Standard Democrat obituary log in to our electronic edition.